← What is in your children’s lunch? I am not sure when I first went into Casual Gourmet. I think it was when I was looking for a wedding shower gift and happened to notice a new store just down from the Glenwood Farmer’s Market by the library. It was before Hillmuth moved in, and now of course the Pasta Blitz franchise, Vittorio’s is out there. HowChow blogged about it, and there is a favorable report on their pizza in his comments. 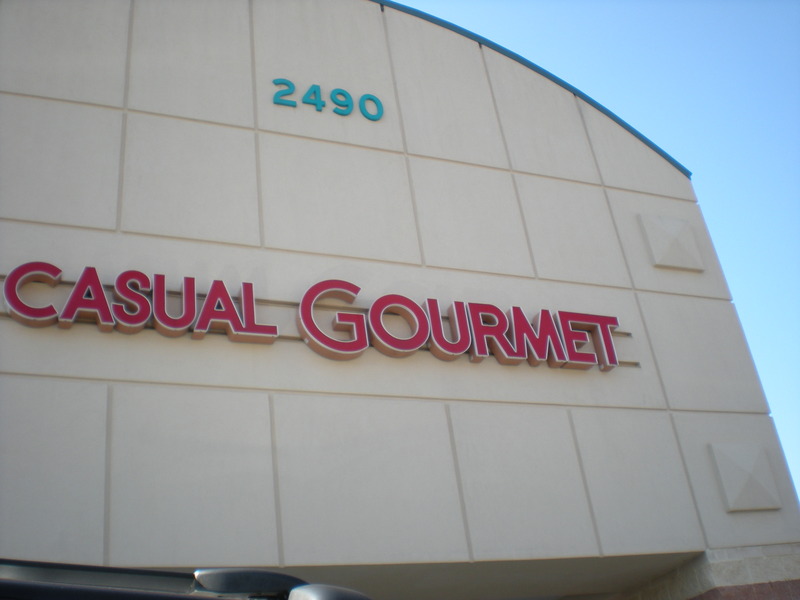 Casual Gourmet was one of the earlier tenants there in the strip mall. I stop there for a latte on the way to the Glenwood Farmer’s Market, and I have bought a locally sourced pepper jelly assortment from them. Suzanne’s Pepper Jelly Heaven, Purgatory and Hell. Suzanne is a local from Glenwood, and her home business has blossomed big time. 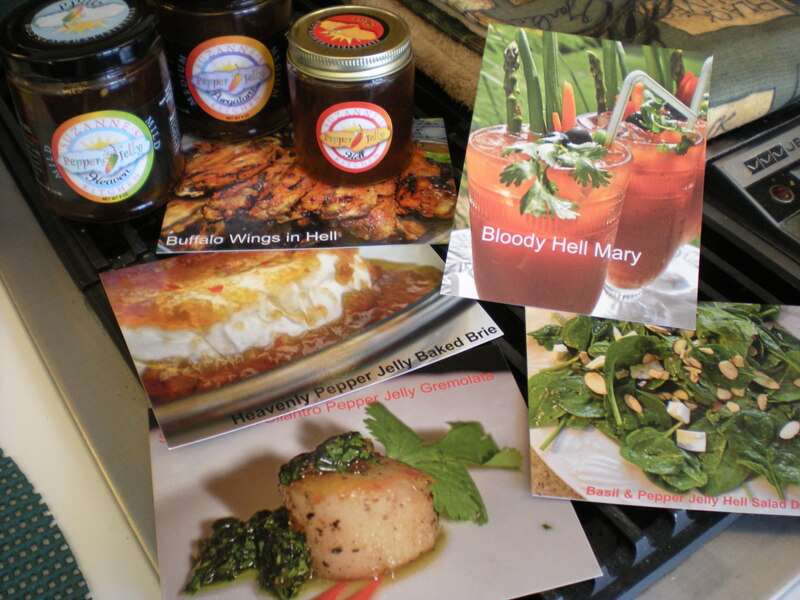 Her web site says she now makes a Pepper Jelly Ghost, labeled scary hot, and with a warning tag. Who is brave enough to try it and let me know if they live? We bought a little sampler a while back, used it everywhere except we can’t handle Hell. Need to tone it down, but we picked up some recipes from the shelf while we were there. They also have a fill tank for their Ariston Italian Olive Oil, a really nice oil I use to drizzle on my heirlooms in the summer. 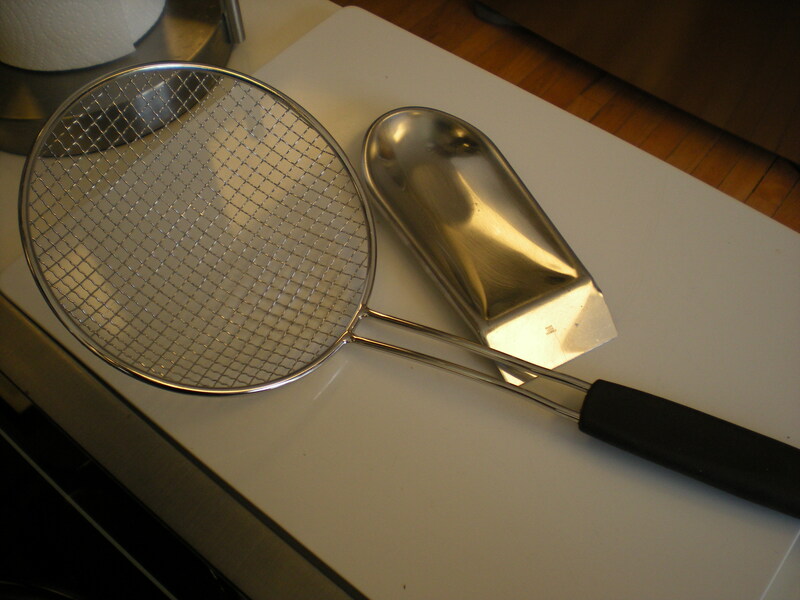 Hard to find kitchen utensils, like my ravioli skimmer. I have used this for the past few years on the rare occasions that I do break out the pasta maker, and it also does a good job with other small pastas. 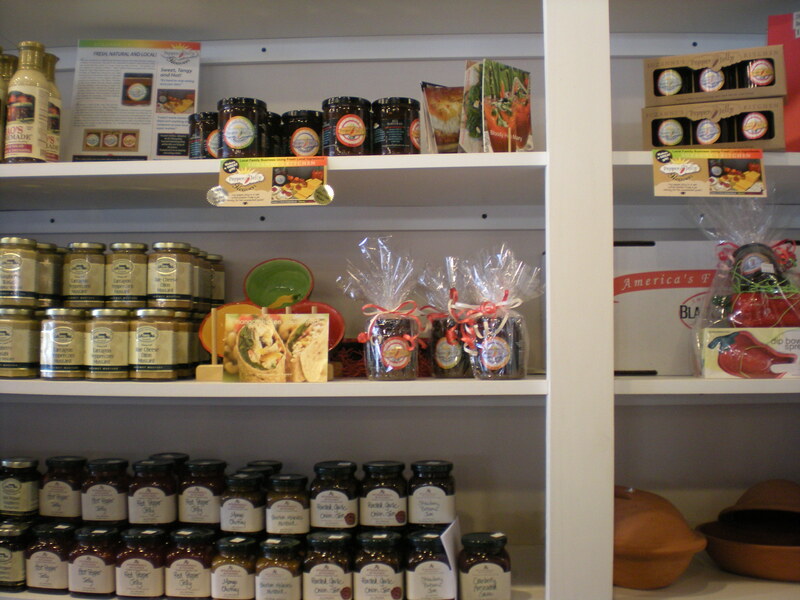 Go in, browse around, check out their huge selection of sauces and marinades and, if you live in West County and need a specialty basket put together for a gift, they do it. Haven’t tried their lunch foods yet, but they are in that business too. Posted in Day Trips, Food, Howard County, Local Businesses, Locavore, West HoCo and tagged day trips, Food, local businesses, Locavore, West HoCo. Bookmark the permalink.